Home » Fishing • News » And why not a jetty at Bullock Point? Construction of a three-lane boat ramp, floating walkway and parking at Bullock Point, Inskip, is starting in February, weather permitting. Feedback on the Bullock Point ramp and pontoon was widespread and positive. However, it led to some questions from locals, that we put to the decision makers. Jim Cole suggested, “Would be interested to hear the thoughts behind positioning of the floating pontoon down one side not down the middle. The new floating walkway, designed to move up and down with the tide, will be installed next to the boat ramp lane to help with safe launching and retrieval. Locating the floating walkway to the side also allows additional separating piles in the middle of the ramp to allow barge use. Experience has shown boaties prefer pontoons over jetties. Vessels are more susceptible to damage at jetties and passengers have difficulty transferring. 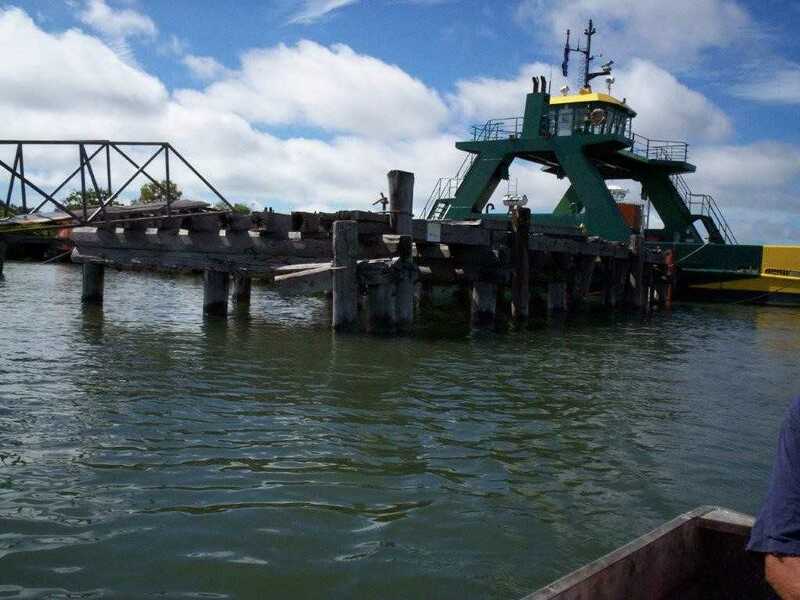 We have been gradually decommissioning older jetties around the state due to decreasing demand. Upgrades to the Bullock Point boat ramp and floating walkway is a project of Department of Transport and Main Roads (TMR). Council has partnered with TMR to construct a new car park, which we will continue to maintain. Construction of a jetty in this area were not a part of Council’s planning. However, Council recognises the community’s interest in a jetty for use in the area. In 2014 Council commissioned consultants to carry out a feasibility study for a public jetty at Norman Point, the eastern-most promontory of Tin Can Bay. This study examined the engineering issues and produced a preliminary design and costing. Council allocated further funding in 2017/18 to investigate the environmental aspects of the jetty, commence a concept design and costing, and gain appropriate approvals. Council are now looking at funding options for the project and will keep the community updated on the project throughout the year. What does the council budget mean for the Coast?